N.C.: Trending Red Again or Truly Up for Grabs? A debate has arisen around North Carolina's new identity as a critical swing state in electoral politics: Has it truly emerged as a quintessential battleground, or is it in fact returning to its conservative roots? The Obama and Romney campaigns have different opinions on this, judging by their approaches there this cycle. The president sees the Tar Heel State as in play and is doubling down on it, whereas Romney appears confident it will move back into the Republican column this fall after narrowly backing Obama in 2008. Since his inauguration 3½ years ago, Obama has made 13 stops in the state, several of which were part of a jobs tour in October 2011. His visits have been in the central and western parts of the state near its major cities; he gave a speech on the economy in Mount Holly (near Charlotte) in March and another one on student loans in April at the University of North Carolina in Chapel Hill. By contrast, Romney has been to North Carolina just three times this year -- he visited Charlotte twice for public events and Raleigh for a fundraiser. But he doesn’t have the same familiarity with Carolina voters and hasn’t traveled outside of Obama’s stronghold of the two biggest cities. And that has puzzled some Democrats monitoring the presumptive nominee’s activity in the state. They wonder: Why not go into the some of the regions where he needs to turn out the vote? 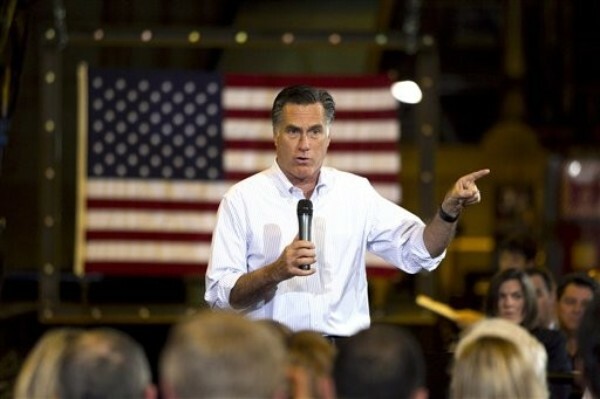 Romney’s state spokesman, Robert Reid, sees no cause for alarm. “North Carolina will be seeing a lot more of Mitt Romney between now and the election,” he assured RCP. Still, Romney’s tepid approach thus far carries some risk, for he must win the state’s 15 prized electoral votes if he is to oust Obama this year. Indeed, North Carolina has become almost as important to the calculus of victory as Ohio, with its 18 electors. One fact in support of Romney’s apparent confidence is the RealClearPolitics Average in each of the swing states: North Carolina is the only one in which there has been major ad spending where Romney leads Obama. It is a narrow lead -- he edges the president, 47 percent to 46.6 percent, as of July 18 -- but in the other swing states, Obama is ahead by at least a full percentage point. Consequently, said Reid, “we feel confident about North Carolina.” He added that the unemployment rate there is 9.4 percent -- the fourth highest in the country. “If anything,” he asserted, “President Obama has an uphill battle here.” But Reid was quick to point out that the campaign is not taking any state for granted. Still, a look at the candidate’s schedule reveals that Romney has spent the most time in New Hampshire, where he has a home but which has just four electoral votes at stake, and he has spent a significant amount of time in Ohio as well. (The campaign’s surrogates have been to the Buckeye State more often than any other.) Also ranked high on the list is Virginia, where Romney has made five trips this year for multiple events each time. Many Romney surrogates have suggested that Carolina is fading from the campaign’s view, a sign of advisers’ confidence that it will continue trending Romney’s way. Still, the Democratic National Convention will be held in Charlotte six weeks from now, which should provide Obama a week’s worth of fairly positive attention, potentially bumping him up in the polls statewide heading into the election’s final two-month stretch. And that could force Romney to spend money more in the Tar Heel State this fall.